If you are looking for a custom built 2-story home with wide open floor plan + POOL + VIEW + HUGE LOT + Excellent School District, this is it. 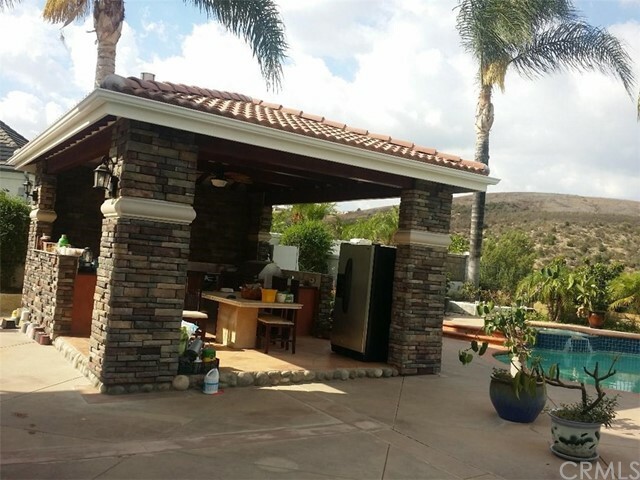 This custom home is located on the top of the hill in a quiet cul-de-sac street. 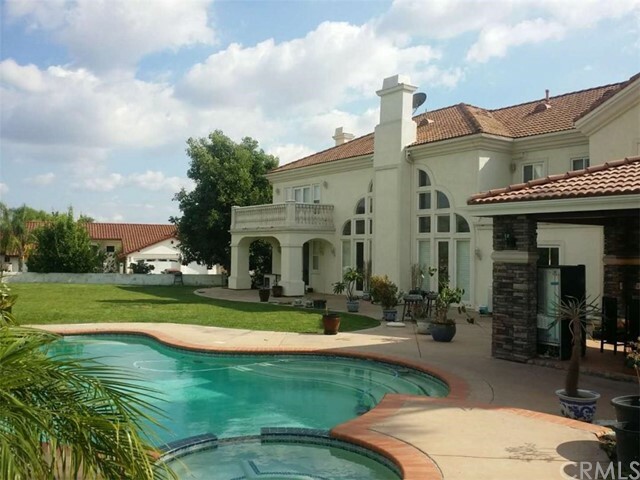 From the outside, this property comes with extra wide lot that is rare to find in the city of Walnut. In front of the enclosed 3-card garage, it has a deep drive-way that able to park extra cars or bigger truck. Front yard is nice nicely landscape with stairs entry. 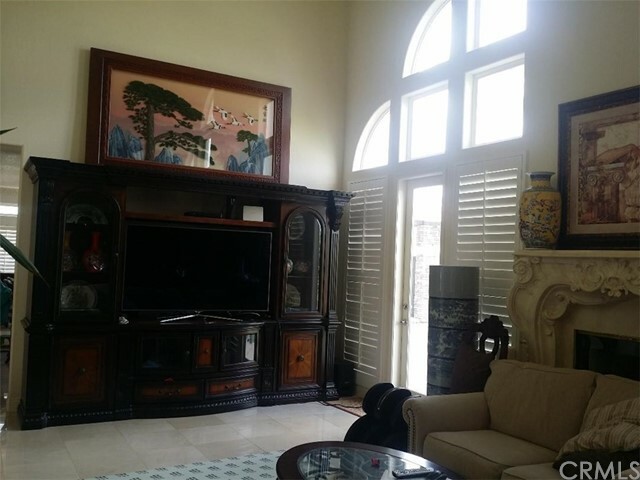 Beautiful custom double-door entry to the formal living room and dinning room area with all custom tile flooring. Extra high ceiling at family room with cozy fireplace and bar. 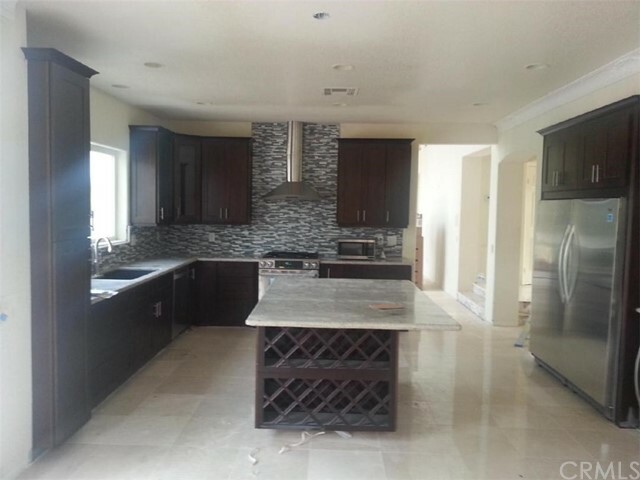 There is a Master Suite and a game room (can use as a bedroom w closet) on 1st floor and newly remodel big kitchen with all upgraded equipments and granite counter tops + a breakfast nook. 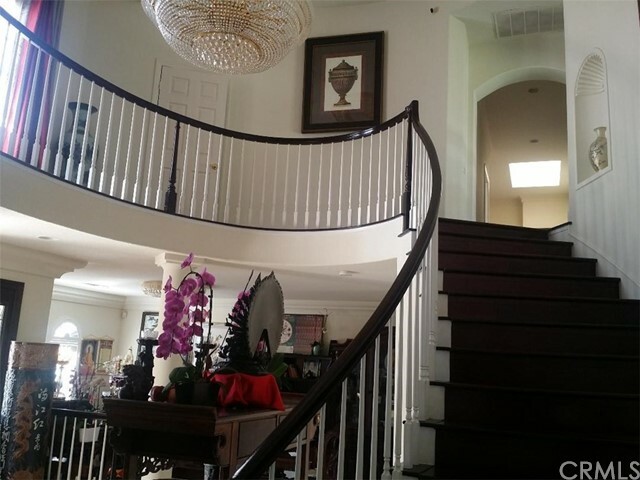 Beautiful spiral staircase to the 2nd floor. Big Master Suite with walk out balcony that overlooks the back yard pool and magnificent view + walk-in closet + bigger bathtub & shower room. There are 3 more bedrooms on the 2nd floor (2 with its own bathroom attached). 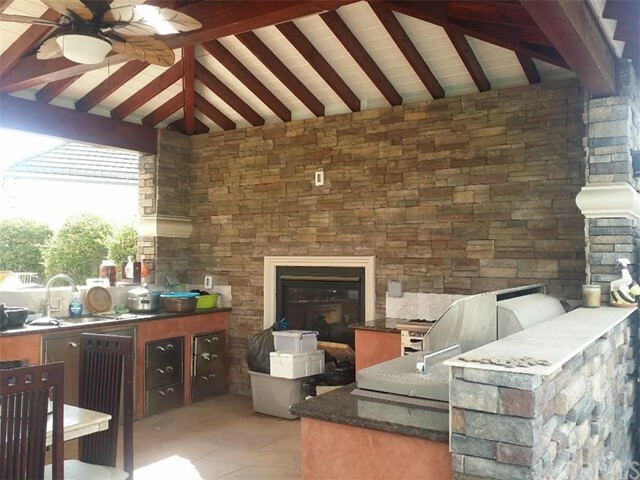 Very private backyard with custom newly built patio with full kitchen equipments. 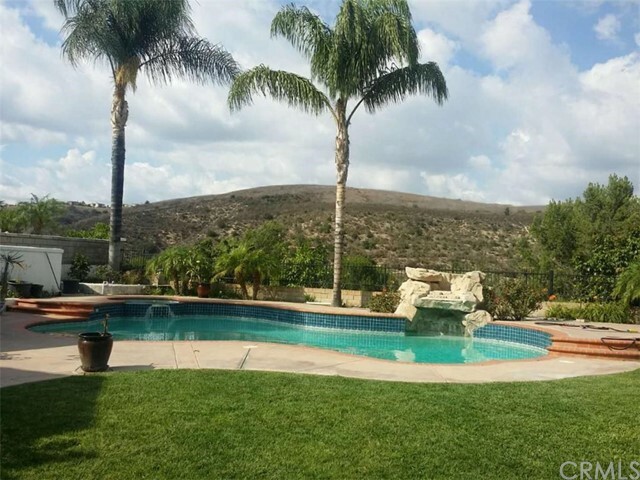 Big back yard landscape with custom pool and spa with waterfall, green grass turf and many fruits trees. Wide open panoramic view of mountains, city lights, sunset & sunrise. 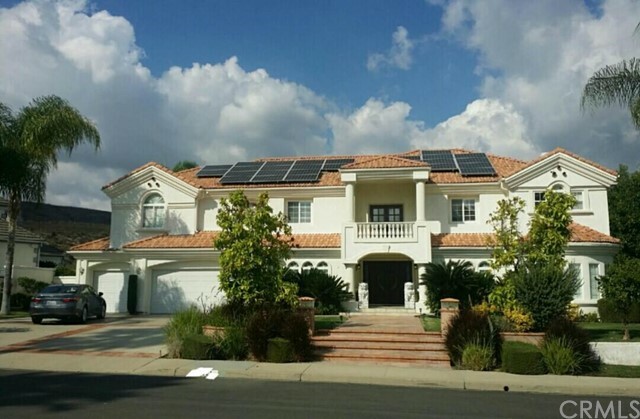 SOLAR panels installed and paid off, that can be a huge energy saving to the homeowner.